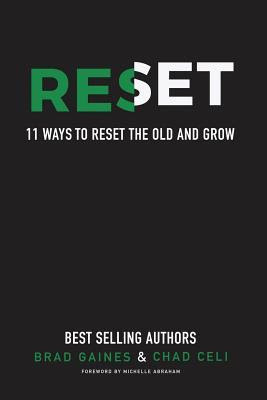 Authors Brad Gaines and Chad Celi are principals of the marketing firm Reset Strategies, an important firm that works with companies, ranging from family corporate all the way to the Fortune 500, and has been highlighted in Forbes, Inc. Entrepreneur, The Wall Street Journal, and Fast Company, and seen on CBS, ABC, NBC, and FOX. Their goal in this book is to demonstrate to companies how to hit the “reset” button and grow their businesses with new methods that are more profitable, more energizing, and more impactful to the customers they serve. In an opening note the authors state, ‘Resetting is not about making widespread changes overnight. It’s about making positive changes over time that are sustainable and today, four main factors influence the need for change: Technology. Consumers, Economy and Growth Goals.’ They name companies that have made resetting a priority and persevered because of it – Suzuki, Nintendo, PayPal, Napster, Starbucks, Hewlett-Packard, and Facebook. Impressive lineup! The book is solid, down to earth concepts and instructions on how to rest the old and grow – the basic topics cover are Rethinking certain aspects of a business without bias; from the market’s and customer’s point of view. When someone is too close to something, it can alter the way they interpret information. Many companies “breathe their own exhaust” and continue to use strategies and systems that are no longer relevant, Getting customers to purchase from a company again, and again, and again, Rebranding is more than just a new logo and jazzed up website. Companies will profit more by enhancing the customer experience, Reactivating dormant customers or inactive past customers, Getting more customers happily referring a business, Capturing online reviews for more “social proof”, Relearn how to market because of the Fourth Industrial Revolution, which is driven by Artificial intelligence and Machine learning. Sound, practical advice for achievable goals. This book could save many ‘sinking’ businesses.